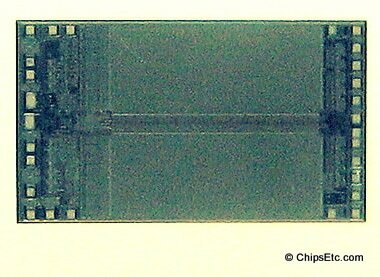 Specialty: Design & Manufacturer of Application-specific (ASIC) semi-custom Integrated Circuits. Pioneer of Integrated Circuit layout & design tools. Founding partner in ARM Ltd.
​This Lucite paperweight was created to commentate VLSI Technology's first silicon chip to be produced at their new $50 million San Antonio, Texas Fab on October 13th, 1988. 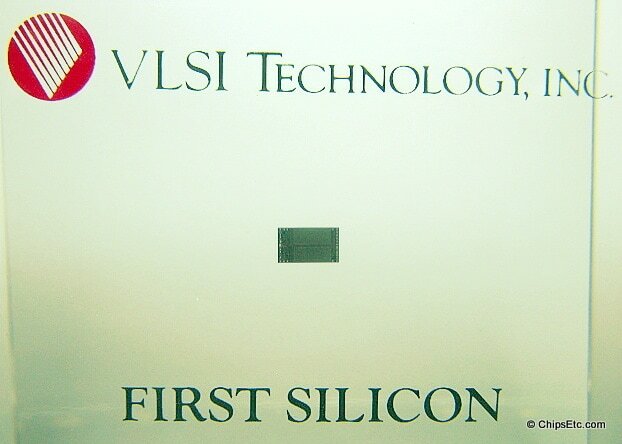 VLSI's first production Fab was built in 1983 and was located at their original headquarters site in San Jose, CA. Their primary product was logic chips for personal computers. Their new San Antonio Fab would become their 2nd manufacturing site and would focus on producing their more profitable ASIC (Application Specific Integrated Circuit) chips. In 1996, VLSI announced they would be shutting down their original San Jose production Fab (due to lower demand of PC logic chips) and concentrated solely on their facility in San Antonio. Production at San Jose was ceased by the end of 1997. 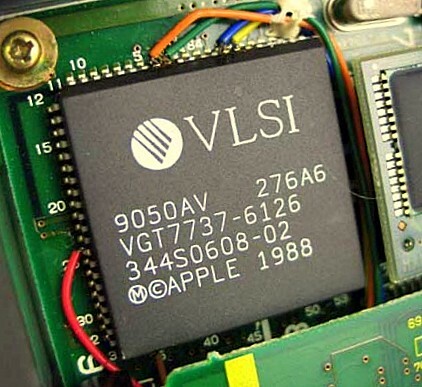 However, VLSI would keep their production test / prototype assembly research facilities in San Jose.